Iridescent flowers are never as dramatically rainbow-coloured as iridescent beetles, birds or fish, but their petals produce the perfect signal for bees, according to a new study published today in Current Biology. Bees buzzing around a garden, looking for nectar, need to be able to spot flower petals and recognise which coloured flowers are full of food for them. Professor Beverley Glover from the University of Cambridge’s Department of Plant Sciences and Dr Heather Whitney from the University of Bristol found that iridescence – the shiny, colour-shifting effect seen on soap bubbles – makes flower petals more obvious to bees, but that too much iridescence confuses bees’ ability to distinguish colours. 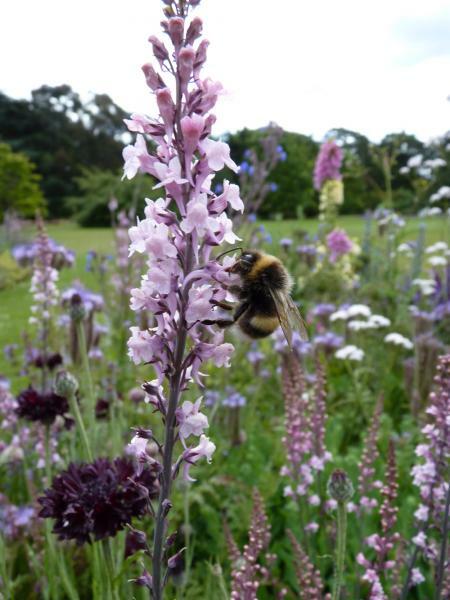 Whitney, Glover and their colleagues found that flowers use more subtle, or imperfect, iridescence on their petals, which doesn’t interfere with the bees’ ability to distinguish subtly different colours, such as different shades of purple. Perfect iridescence, for example as found on the back of a CD, would make it more difficult for bees to distinguish between subtle colour variations and cause them to make mistakes in their flower choices. 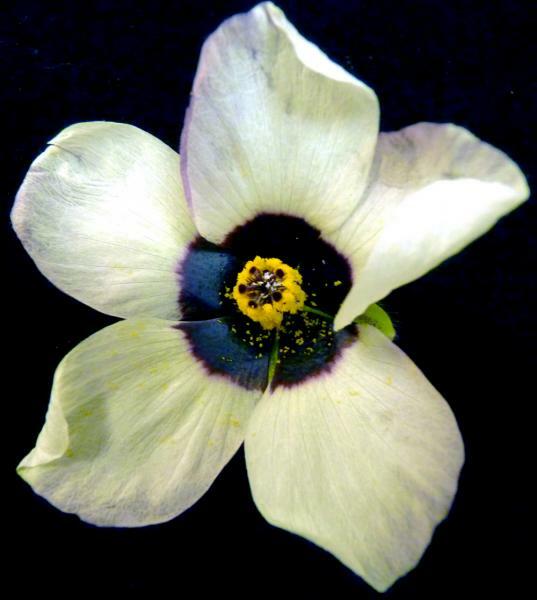 The researchers created replica flowers that were either perfectly iridescent (using a cast of the back of a CD), imperfectly iridescent (using casts of natural flowers), or non-iridescent. They then tested how long it took for individual bees to find the flowers. They found that the bees were much quicker to locate the iridescent flowers than the non-iridescent flowers, but it didn’t make a difference whether the flowers were perfectly or imperfectly iridescent. The bees were just as quick to find the replicas modelled on natural petals as they were to find the perfectly iridescent replicas. When they tested how fast the bees were to find nectar-rich flowers amongst other, similarly-coloured flowers, they found that perfect iridescence impeded the bees’ ability to distinguish between the flowers – the bees were often confused and visited the similarly-coloured flowers that contained no nectar. However, imperfect iridescence, found on natural petals, didn’t interfere with this ability, and the bees were able to successfully locate the correct flowers that were full of nectar. “Bees are careful shoppers in the floral supermarket, and floral advertising has to tread a fine line between dazzling its customers and being recognisable,” says Lars Chittka from Queen Mary University of London, another co-author of the study. 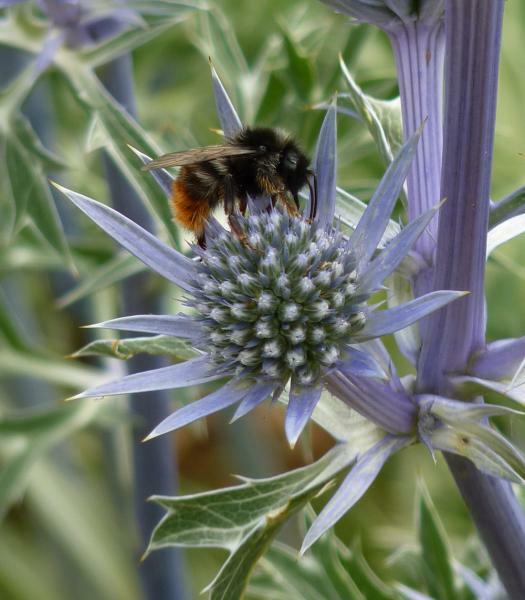 Glover and her colleagues are now working towards developing real flowers that vary in their amount of iridescence so that they can examine how bees interact with them. “The diffraction grating that the flowers produce is not as perfectly regular as those we can produce on things like CDs, but this 'advantageous imperfection' appears to benefit the flower-bee interaction,” says Whitney. Inset images: Iridescent flower (Copyright Howard Rice); Bee on non-iridescent flower (Edwige Moyroud); Bee on non-iridescent flower (Edwige Moyroud).